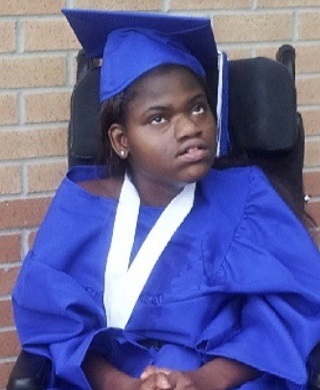 Shameka Keira Fulton was born on June 25, 1991 in Jacksonville, Florida to Glenda Fulton and Ricky Taylor. She graduated from Alden Road Exceptional Student Center. Shameka loved being around her family and friends. She had a love for music and playing with her dog, CoCo. On Tuesday, March 26, 2019 God called Shameka Keira Fulton home to be with the Lord. Shameka leaves to cherish her memories, her mother, Glenda Fulton; father, Ricky Taylor; sister, Laleatha Miller; nieces, La’vontraylia Fulton, LaKeithyia Brooks and London Fulton; nephew, Kavion King; aunts, Katie Robertson (Alfred), Linda Fulton, Emma Hill, Alice Russell, and Gracie Davis (Ira) deceased; great aunt, Effie Harper of Daytona, Florida; special friend, Trenell Wiggins (Aide); and a host of cousins, other relatives and many sorrowing friends.